The flavors of Ise are in the very DNA of this dynamic chef: Reflecting on the flavors of home. 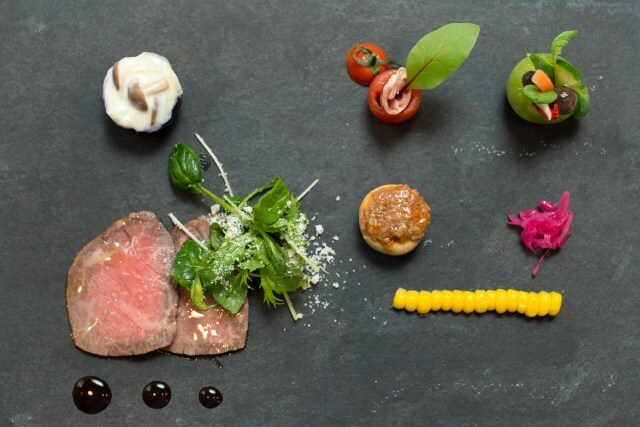 Gastronomy, including Western Cuisine, is a point of pride in Ise City, Mie Prefecture. 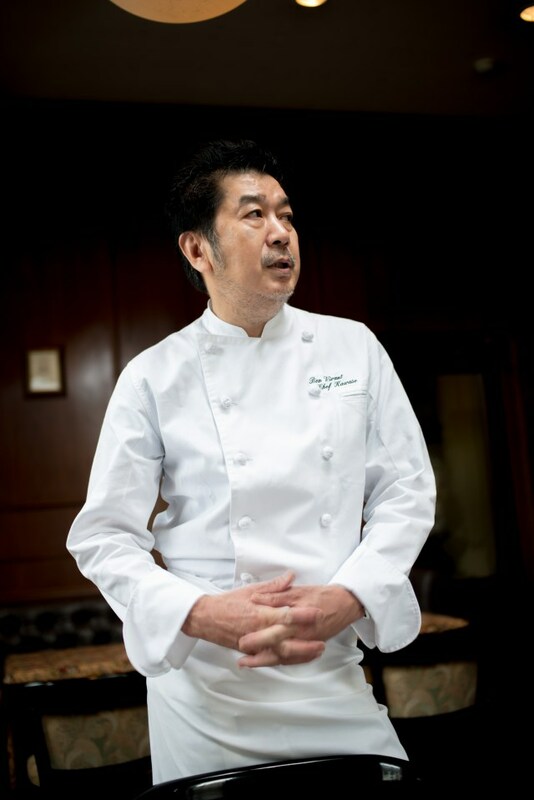 The former Head Chef of the Shima Kanko Hotel, site of the Ise Shima Summit, was a dynamic French chef. Inheriting his spirit (DNA), there are now chefs spreading his culinary charisma throughout the region. In front of Geku, the Outer Shrine in Ise, there is a popular French restaurant, which has been in operation for more than 30 years. 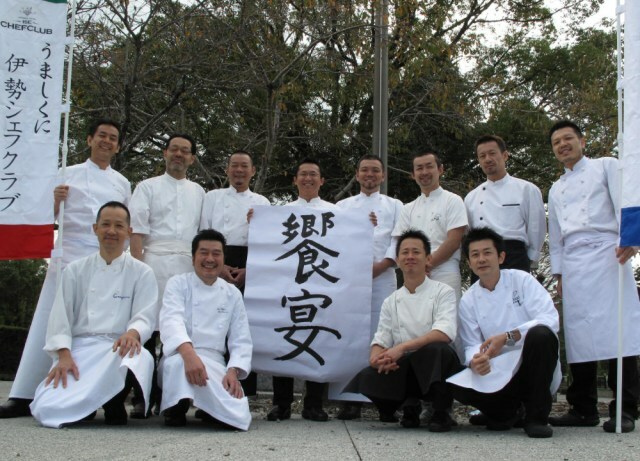 "All Ise Shima ingredients are precious", according to Kawase Takeshi, the owner-chef, who is himself an Ise treasure. 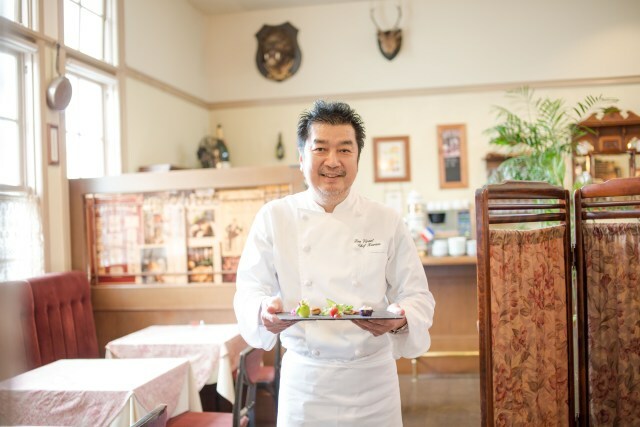 Kawase Takeshi, the owner and chef, says "Chances only come once, seize them!" In a slightly earlier era, telephones had to be connected by hand at telephone switching offices. This building was one of those telephone switching offices, and thus is quite old. At one time, this was the Ise Geku Yamada Post Office Phone Switching Branch Office.The building is a white stucco structure with red roof tiles. 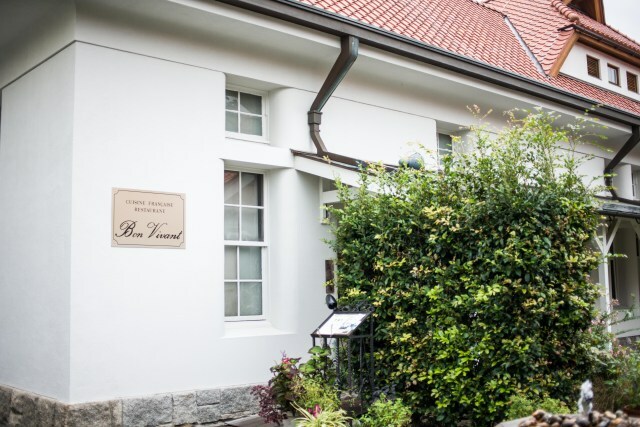 In 1983 it became a French restaurant. This interview is based on the motto "Enlightened Dining". All ingredients are made by local producers. Seafood is sourced mainly from the town of Wagu in Shima, while fruit and vegetables of all kinds come from well-known local sources. Like a reporter committed to running down a story, Kawase seeks out the finest local delicacies. 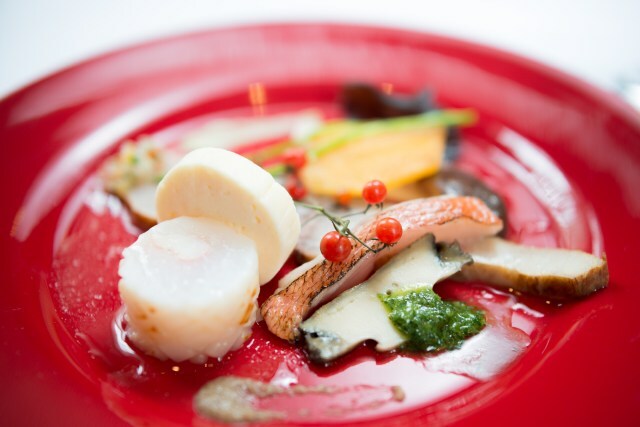 French cuisine, with its emphasis on using local ingredients, still has an aristocratic image for many Ise residents, however, it was Chef Takahashi, the former head chef of the famed site of the Ise Shima Summit, the Ise Shima Kanko Hotel, whose preference for using fresh ingredients gave birth to the "Abalone Steak", and whose influence at that time made him a legend among cooks. At the time, the idea of serving an abalone steak was an innovation in the world of French cuisine. The land of Ise Shima is a treasure trove of these fine ingredients and is also a treasure house of skilled craftsmen. The spirit (DNA) of Chef Takahashi has been inherited by the members of the Umashikuni Ise Chef Club, as well as by other young local chefs. The Umashikuni Ise Chef Club hones their skills in in a spirit of friendly rivalry in the fields of Italian and French cuisine as they seek to promote the evolution of the food culture of Ise. Every year, these chefs from Ise gather in front of the Outer Shrine (Geku) of Ise Shrine, and produce a festival of local food known as "The Feast". 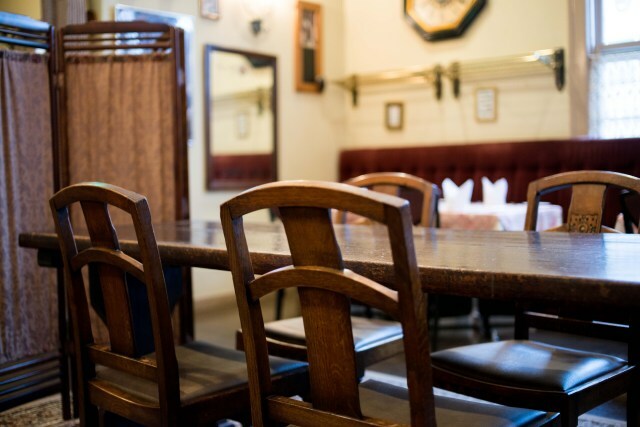 The interior of the French restaurant that I visited for this interview has high ceilings to enhance the atmosphere, and there is a feeling of careful choice about every single retro table and chair. Hospitality and atmosphere are keys to the presentation of French cuisine. The tables and chairs harmonize with the decor. The kitchen is behind a counter, and beyond the glass stands Chef Kawase. Even when there are few customers, there is much to be done. Pots and pans are polished, and the small garden is cleaned in the belief that they will surely catch the customer’s eye. A skilled craftsman always takes care of his tools. For this interview a private room was prepared so as not to disturb other guests. 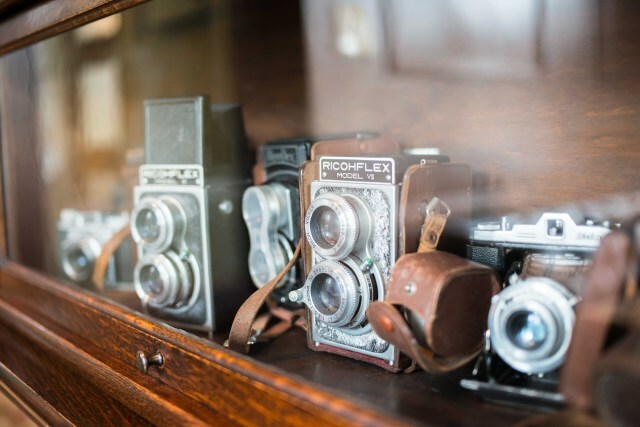 The room was decorated with all sorts of objects to delight a photographer. Twin Lens Reflex cameras made in Berlin, Germany by Rollei (Rollei GmbH). My shutter clicked away. The lunch course was served in this relaxing atmosphere. My heart fluttered with anticipation, what form would this special Ise Shima cuisine take? 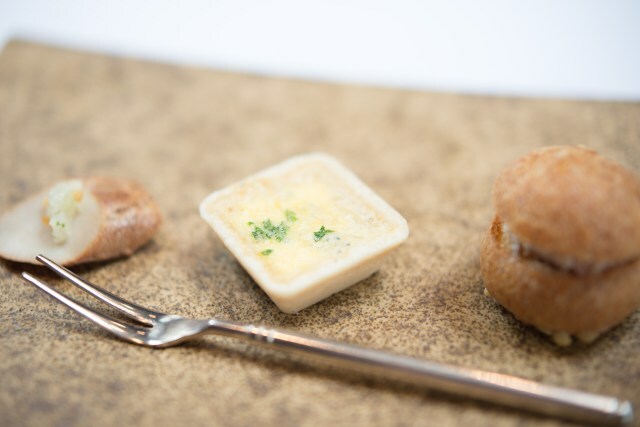 The lunch course of the day began with "Three Small Delights", followed by an appetizer featuring Ise Shima seafood and a meat appetizer. From the right, a cheese flavored puff pastry filled with pork rillets, quiche made with chirimenjako (small dried fish) caught off Tōshijima in Ise Bay, and smoked chicken breast. 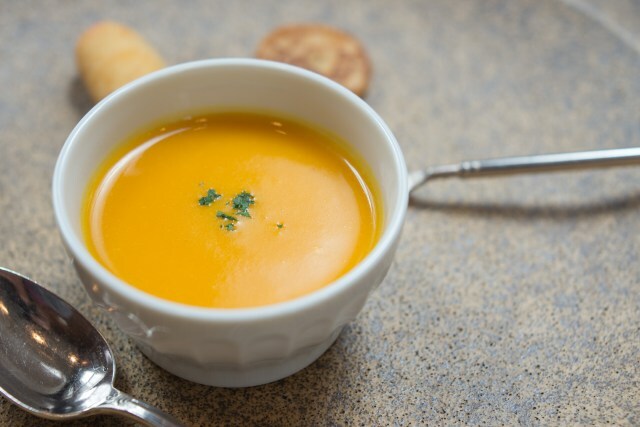 The pumpkin potage had an elegant savor; it was a pleasure to eat. I experienced a harmony of flavors as the true art of French cuisine swept over me like music. Shima black abalone in bourguignon sauce, smoked giant amberjack, broiled red snapper, paupiette of squid, and mousseline of squid and scallops. Chef Kawase himself served me, telling tales of the legendary Chef Takahashi as he did. We talked of the days when he had not yet met Chef Takahashi. Chef Kawase told us that Chef Takahashi made an incognito visit to the restaurant. The French dining experience doesn't depend solely on the skills of the chef; the service of the garcons, the hospitality of Madame, and the decor of the dining room all work together to make an impression on the customer. Chef Takahashi, noticed the Guiness Beer banner on the wall, called the garcon over and ordered a pint. In fact, Guiness Beer wasn't on the menu, and was not on hand in the restaurant. As the garcon began to explain "We don't stock that here", another server gently interjected "The cafe down the street (our sister shop) has Guiness, I'll go get one for you." 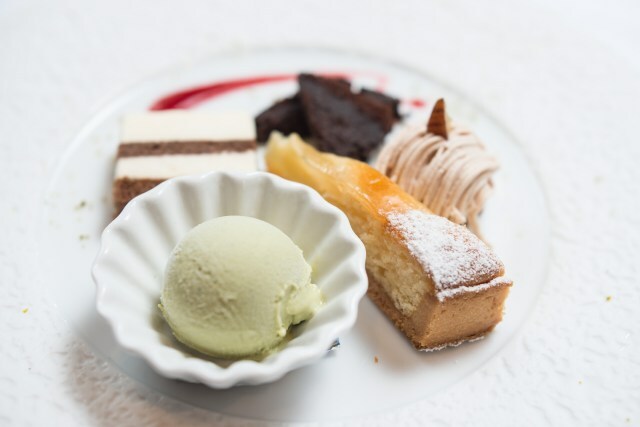 Rendaiji persimmon leaf powder ice cream, Gateau au chocolat, Mini Mont Blanc, Pear Tart, and Tiramisu. The servers didn't know they were waiting on a chef, and were simply doing their jobs as usual, but Chef Kawase thought "There's something about that guy ... can it be? " "Doesn't he look like you-know-who?" mused Madame. After he had finished his meal and was leaving the restaurant, Chef Kawase and Madame caught up with Chef Takahashi and asked his opinion. "You have a very nice restaurant here, I'm relieved to say." said Chef Takahashi, and proceeded to tell them about the Guiness Beer incident. These are some impressions I had that day. Partaking of some non-alcoholic wine and enjoying a fine meal. "Service isn't simply business, it's about taking pride in oneself.” Anticipating the customer’s needs is sure to bring a smile to their faces. As the meal went on, I felt that rather than wine, I'd prefer a glass of water. Just as I was thinking to call the garcon, she appeared carrying a tall cool glass of ice water in her hand. Without thinking, I blurted out "You knew what I was going to say before I said it!" 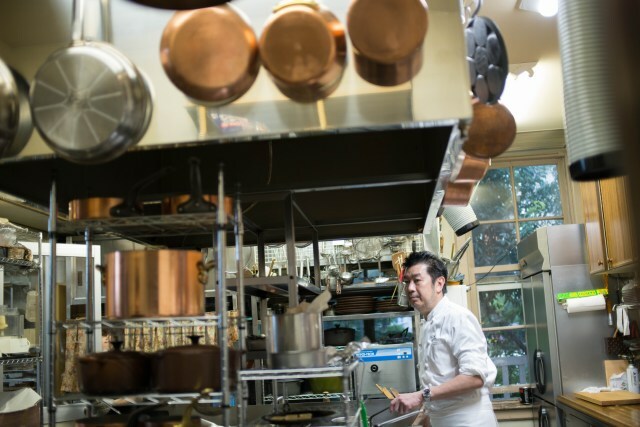 "Commitment Without Compromise" I asked Chef Kawase how he spends his days off. He says he spends his free time making the rounds of the local suppliers. He feels it is important to know what sort of people are producing the foods he uses. It is still possible to meet fisherman who used to catch fish with a rod, dress them and then bring them directly to market. This level of service is natural for French cuisine, he says. Service is not merely a business. The staff take pride in their work, in creating an inviting and comfortable experience for the customer. That is commitment without compromise. 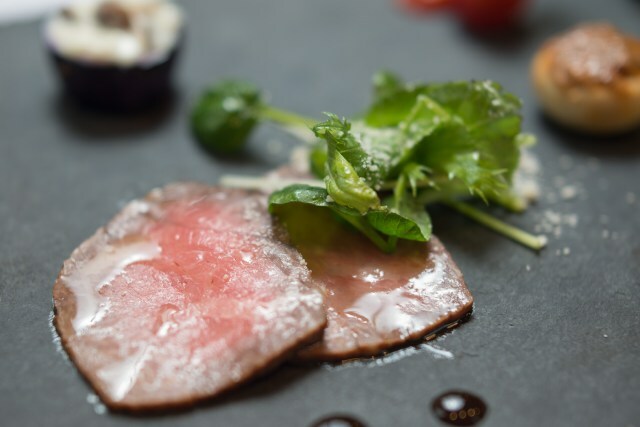 Carpaccio of Matsusaka Beef Round garnished with vegetables from Obata, in Mie Prefecture. I wondered where this attitude of the staff comes from. Chef Kawase clued me in. 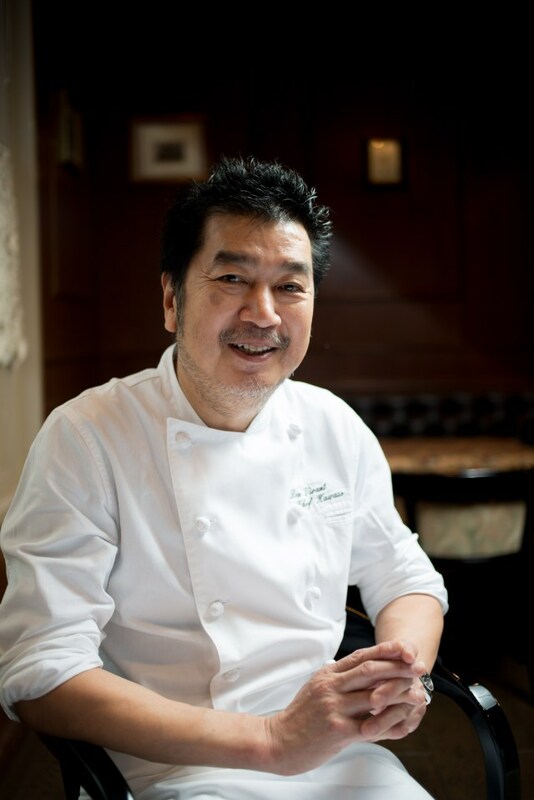 Every morning the entire staff has breakfast together, which Kawase prepares and serves himself. This time is very important, says Kawase. He says he uses these breakfasts as a teaching opportunity. One lesson is about how to season dishes. A little salt can completely change a dish, so each morning the staff is reminded of Kawase’s flavors and use of salt. Salt is not merely a seasoning. Salt is an essential thing for human beings. As a fundamental element that mustn’t be lost, this basic principle is reinforced every morning. Salt is a metaphor for ones’ words and hospitality. Thus daily communication is fostered by sharing a meal, and the proper method of salting becomes apparent in the morning conversation. If another industry seeks to make morning meetings more productive, they might do well to emulate this business practice. 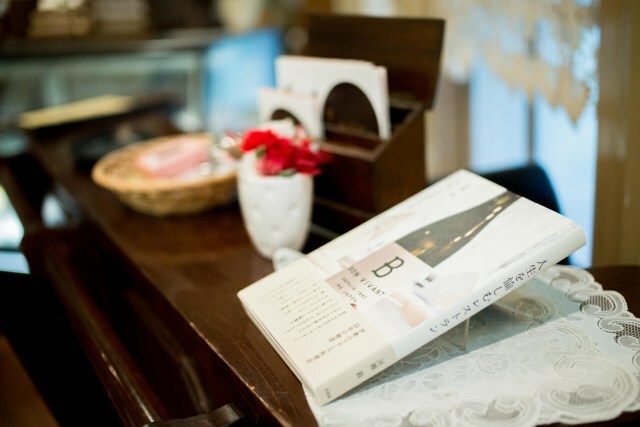 Reading Chef Kawase's book "The Enlightened Restaurant"
It is written on the jacket that the restaurant's name means "An Enlightened Person" in French. 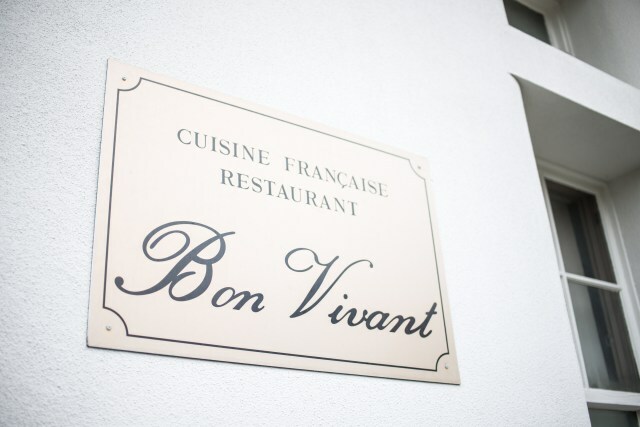 In France, people who are bright and jolly, exuberant and high spirited, are kindly referred to as "bon vivant". 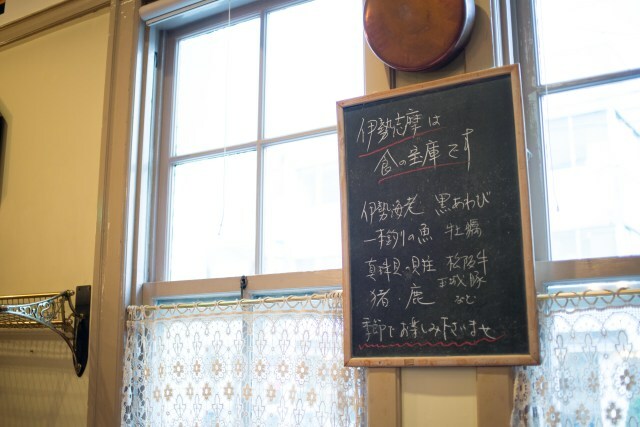 Paying thanks to the work of senior chefs and making use of unusual ingredients, and with a love of the antique and a belief in the power of a single dish, Chef Kawase and family carry their menu forward. Life and food are inextricably linked. Food, clothing, and shelter are the basic needs of all people. Anyone who lacks these necessities will suffer. Imagine that your life could be a feast, and how wonderful that would be. 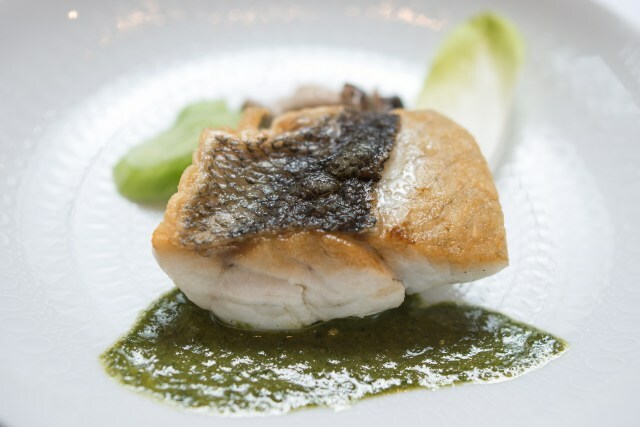 That thought is at the very heart of French cuisine, as Chef Kawase will be happy to tell you. "Madame's Memorandum" from Keiko Kawase. If you fall out of love with this place, or come to hate this work, please quit. Everyone has put their hearts into this restaurant. If you have lost that feeling, please let us know immediately. For the sake of those who work so hard, do it quickly. For the enjoyment of our customers, please keep open eyes, an open mind, and an open heart. If you love this place, please give it all you've got. A plea from an enlightened restaurant. If I could choose my last meal, I think I would absolutely want to enjoy the dishes of my hometown. Restaurants that inspire us make us reflect on the flavors of our hometowns. Mie's Ties to Food "Culinary Evangelists"
© "Food of Mie" portal site All rights reserved. This website is viewable with Internet Explorer 10.0 or higher, Mozilla Firefox 39.0 or higher, Google Chrome 43.0 or higher, or Safari 8.0 or higher. If viewed with any other web browser, the text, images and other features may not be displayed properly.